Mary-Jean Uszy (aka MJDiva) is a private theatre, music, and songwriting instructor, providing classes, workshops and private instruction in theatre and performance, scriptwriting, songwriting and music for the past 7 years. She also performs regularly on stage with Mr. Guitarsplat. 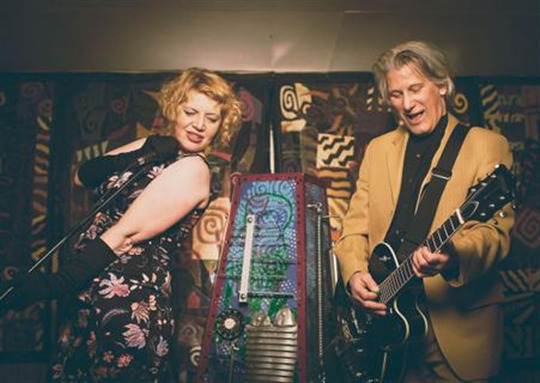 Deriving from their individual musical influences, MJ Diva & Mr. Guitarsplat have been collaborating on distinctively stylized BluesRockJazzy music since August 2010. MJDiva& Mr. Guitarsplat live and breathe creative rockin' music....People dance! People Sing! We have fun!